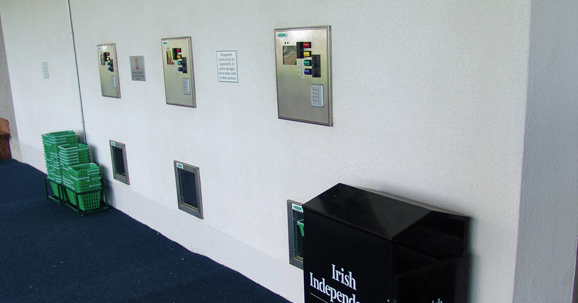 These sleek looking dispensers are bound to impress customers with their sophisticated look and built in style. 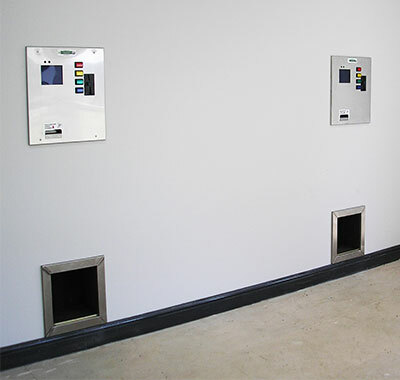 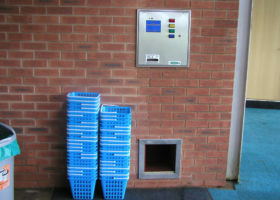 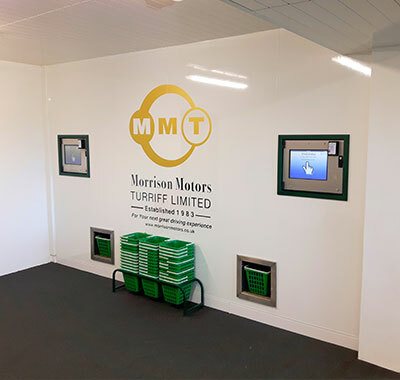 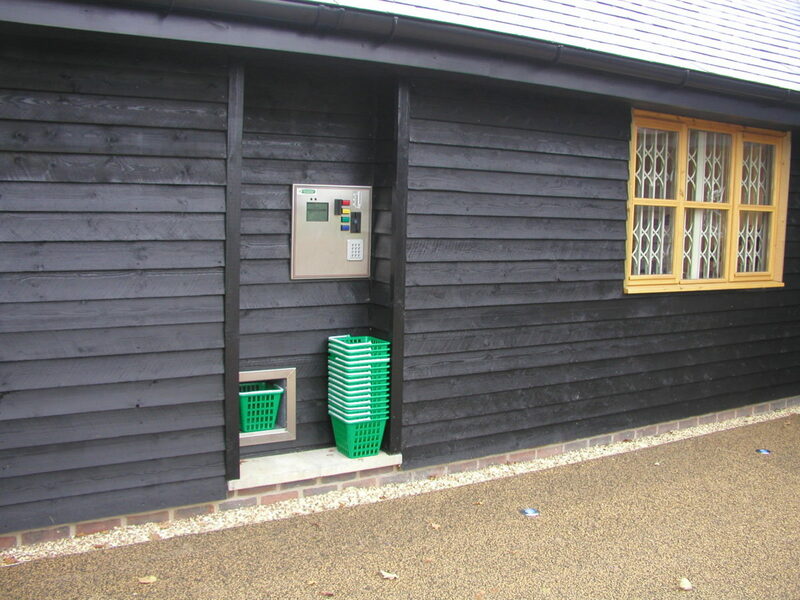 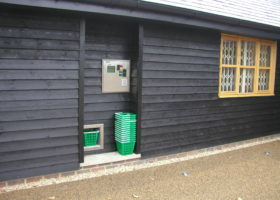 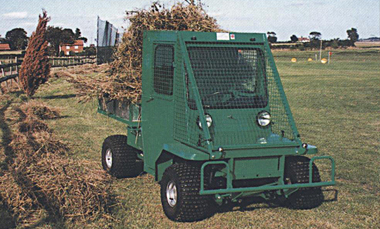 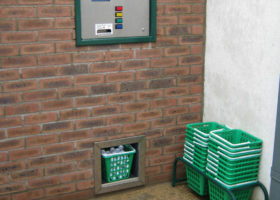 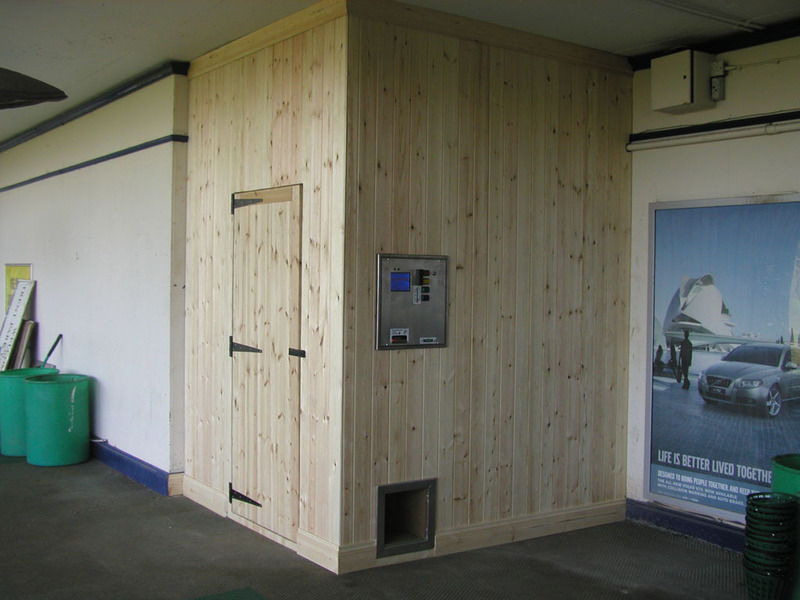 Purpose built hoppers can be designed to fit within existing spaces, allowing for all the inner workings of the dispensers to be kept behind the wall meaning that cleanliness and security is improved. 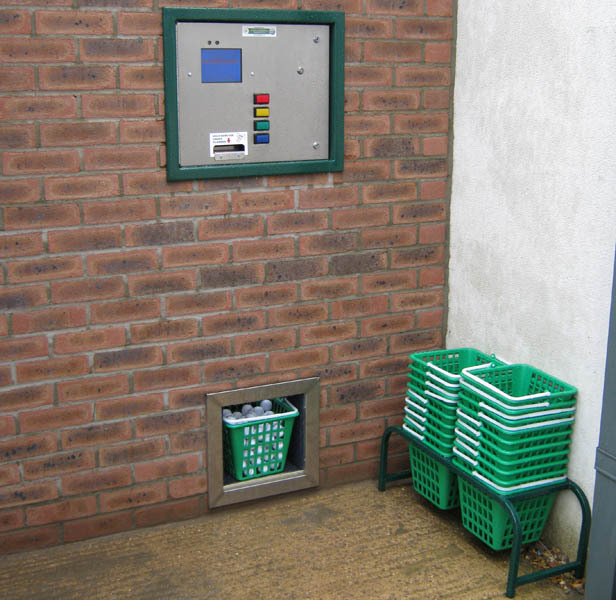 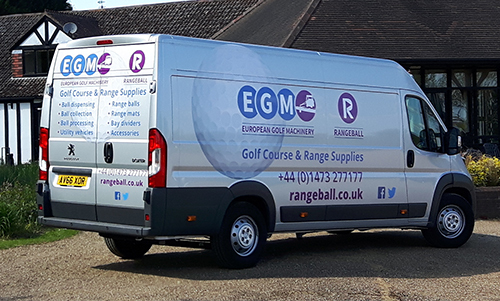 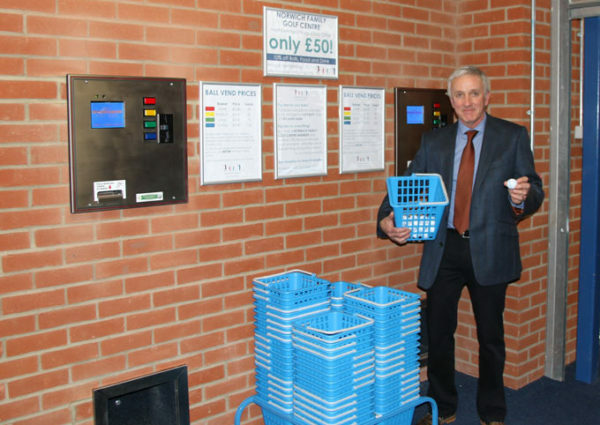 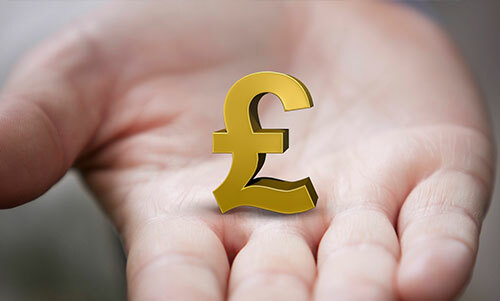 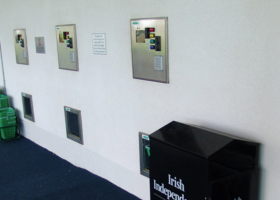 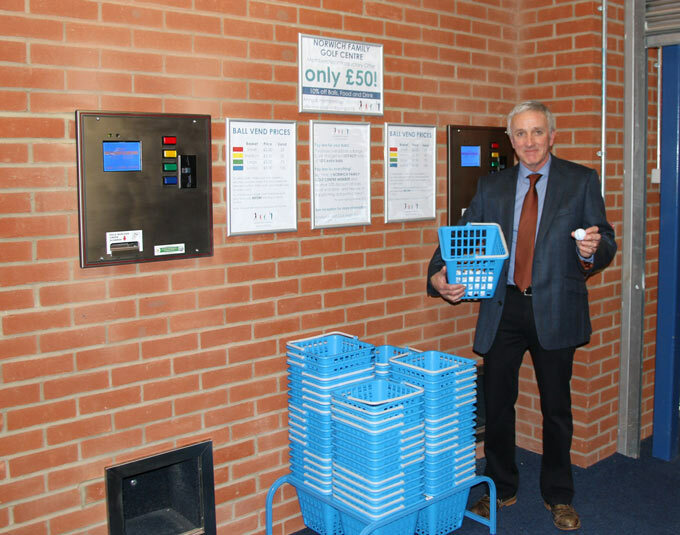 With a capacity of up to 100,000 balls and the ability to have as many as 3 vending points on one wall, behind the wall dispensers can cater for any size of range. 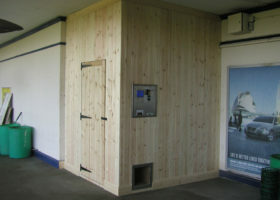 Cash point/ATM style. Customer only sees two attractive stainless steel fascias. 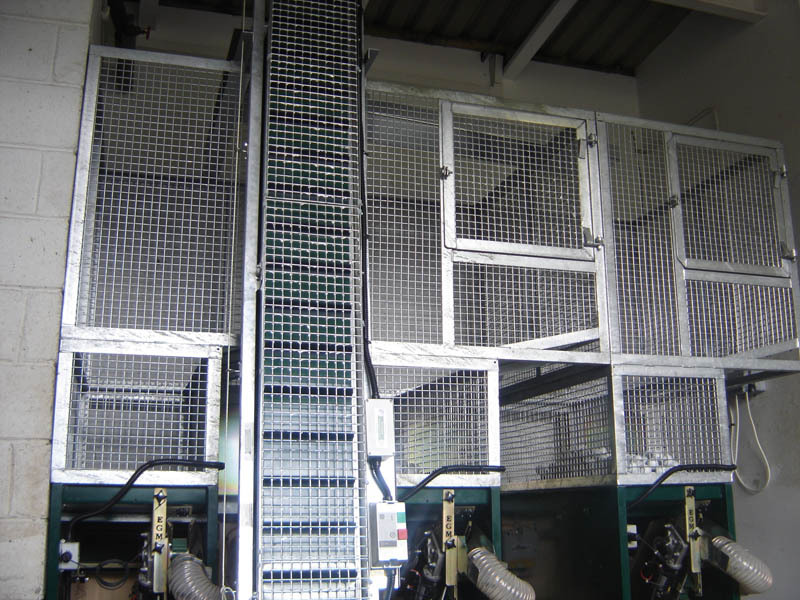 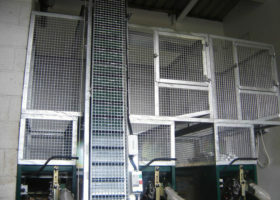 High-capacity, galvanised steel mesh ball hoppers are made to fit your room. 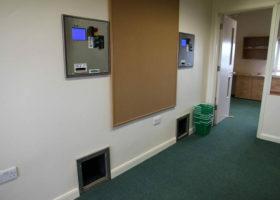 Can be mounted in many wall materials including plasterboard, brick and wood. 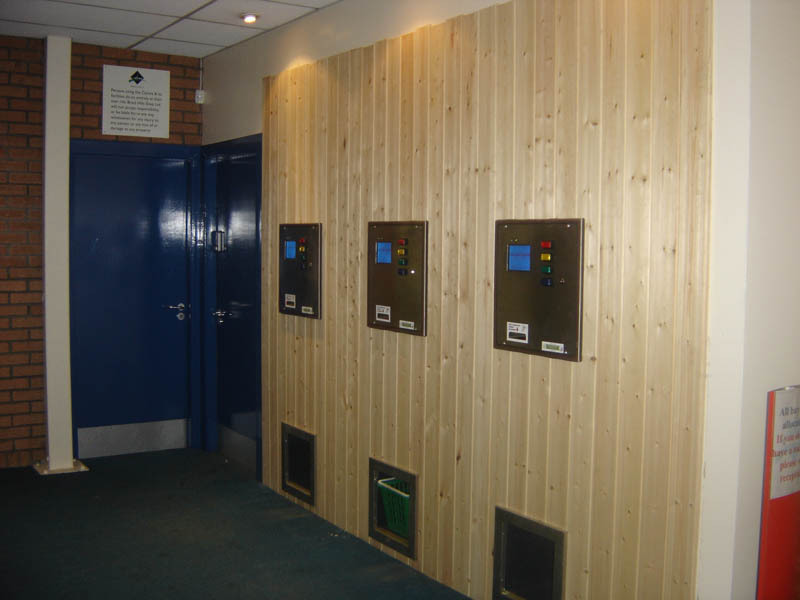 Available in any specification from our range, from B series through to N.
Lockable control box door can be mounted behind the wall for security (Option). 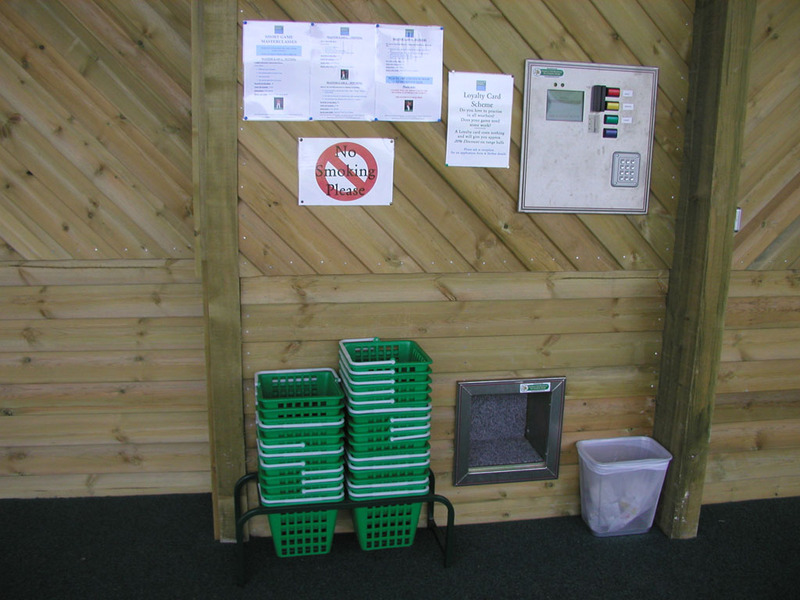 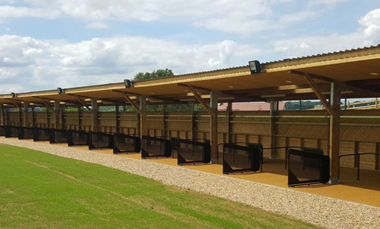 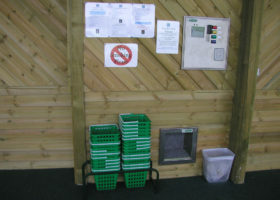 Up to 3 outlets from a single cage, meaning less queues at busy ranges. 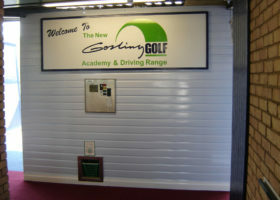 Compatible with credit cards and contactless member cards. 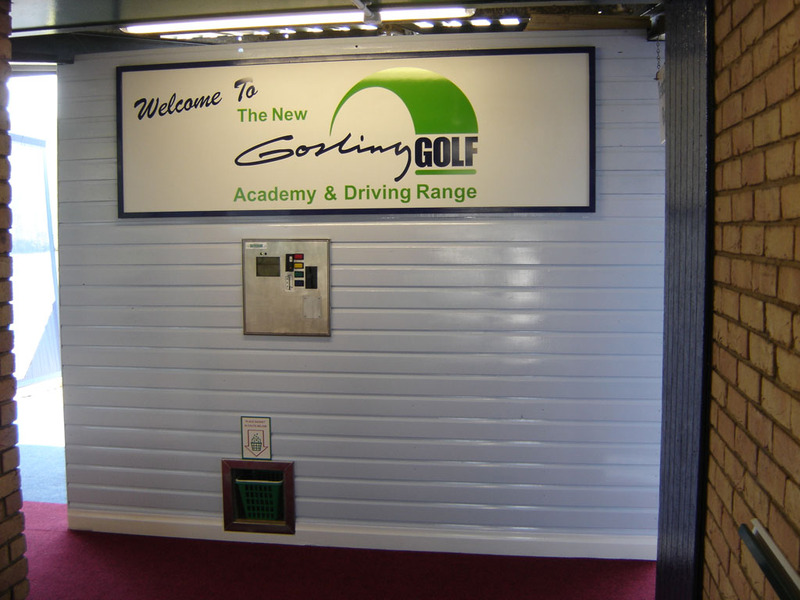 Clean design enables fitment indoors in places such as the Pro shop. 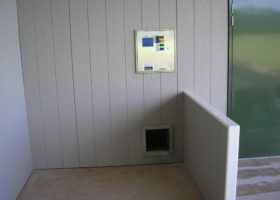 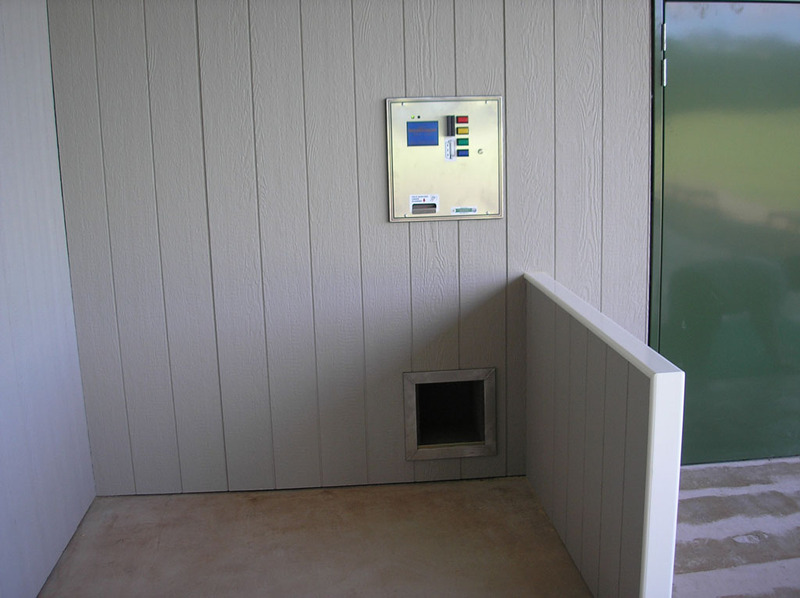 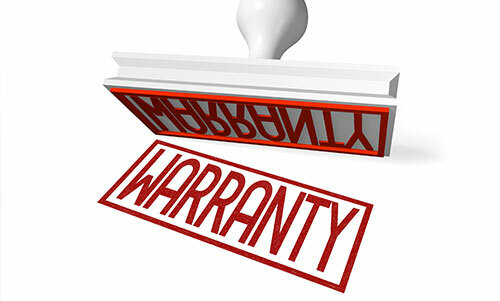 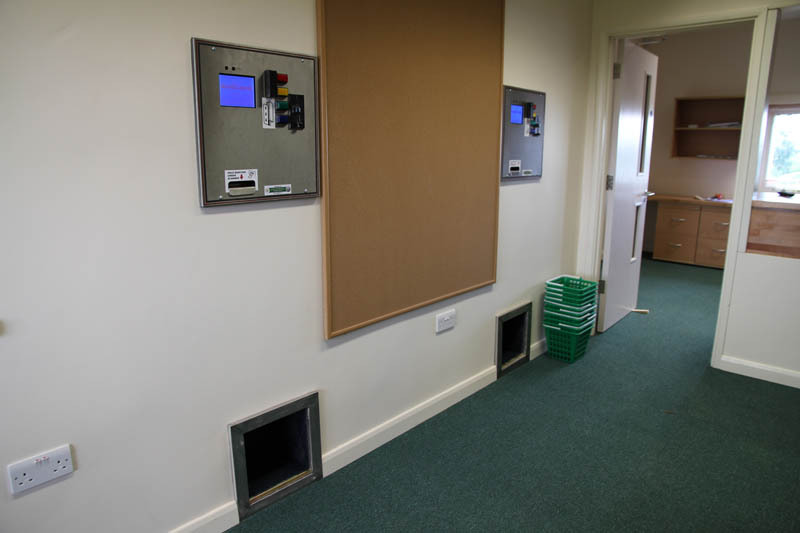 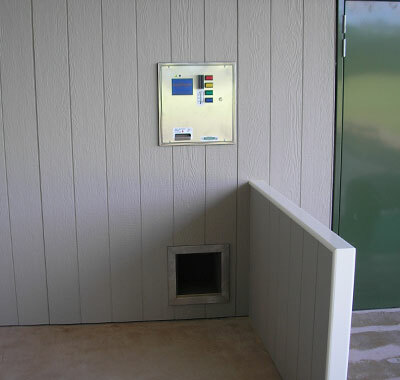 View the pictures in the gallery below to see our completed installations of these systems.